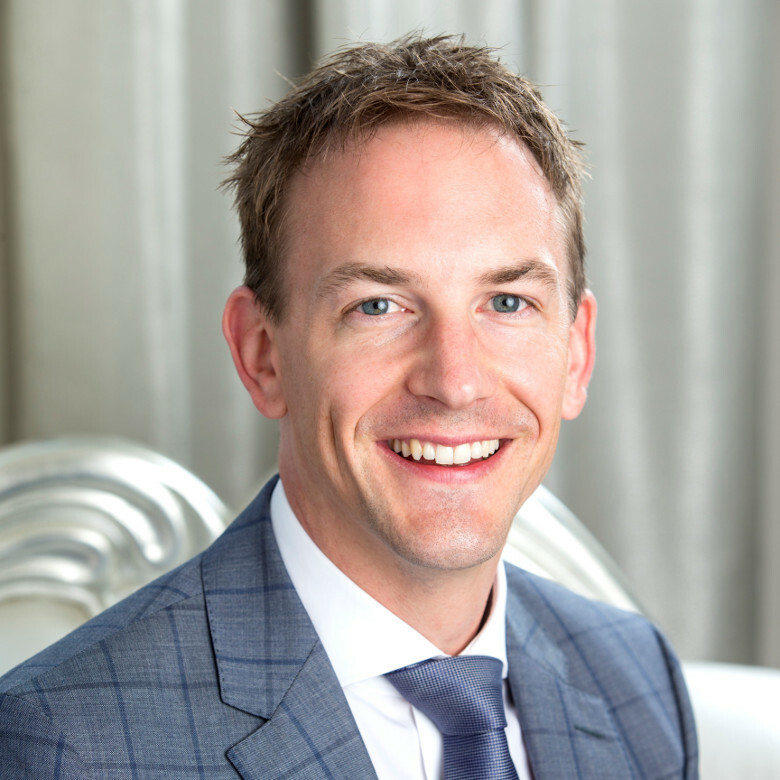 Mr Stephen Baker is a Perth-trained Vascular Surgeon with a special interest in minimally invasive endovascular treatment of arterial and venous disorders. Mr Baker brings judgement and care to treatment decisions that best suit each patient. 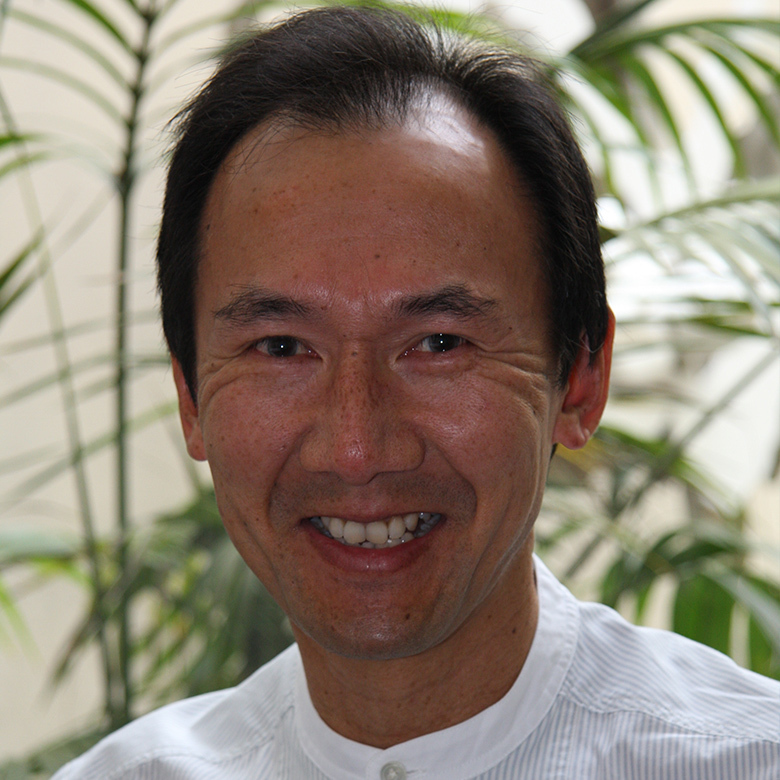 He began Private Practice in Perth in 1995. He has Clinical Appointments at the St John of God Hospitals at Murdoch and Subiaco, where he consults and operates, and at Hollywood Private Hospital, where he does laser surgery. Mr Baker was Chairman of the WA State Branch of the Royal Australasian College of Surgeons 2005-2007 and on the State Executive 2001-2007. The College is responsible for Surgical Training and maintenance of Professional Standards. 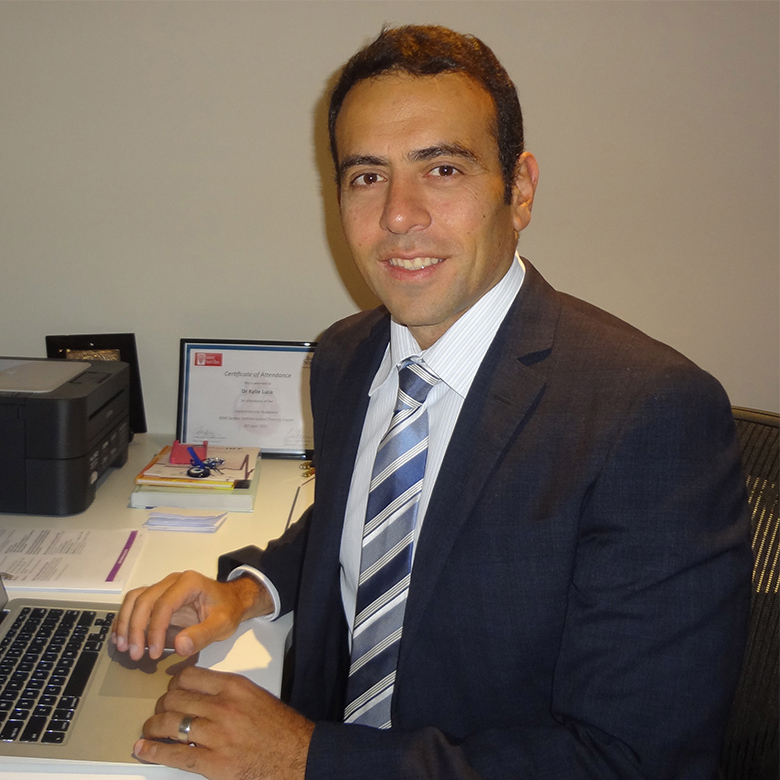 Associate Professor Mohammed Ballal is a Perth based Consultant General Surgeon at St John of God Hospital Murdoch and Fiona Stanley Hospital. He is a CTEC Gold Convenor. 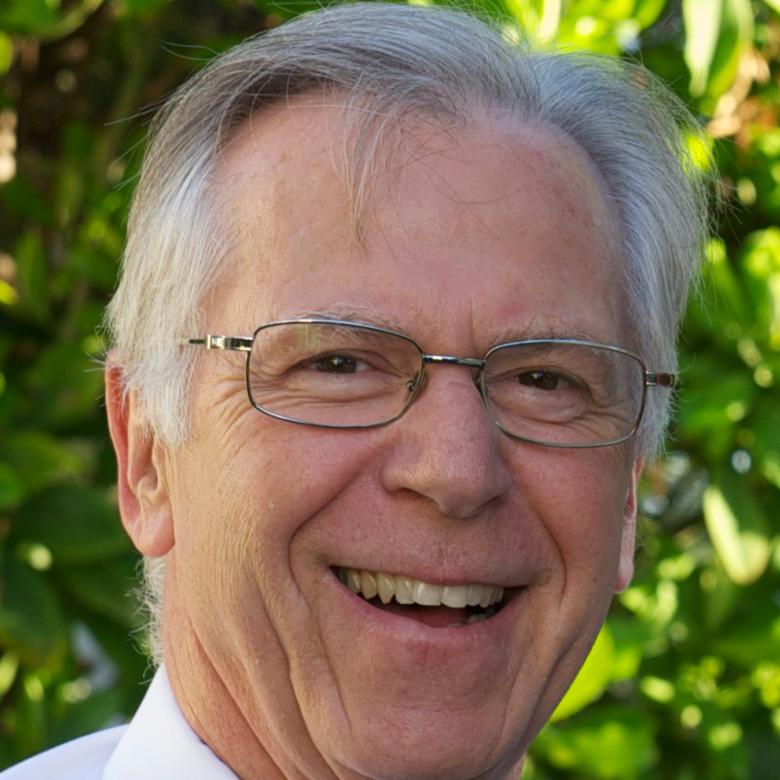 Clinical Associate Professor David Booth, an oral and maxillofacial surgeon, has had a long and distinguished career in academia and teaching in the Department of Oral and Maxillofacial Surgery at Perth Dental Hospital, including being appointed Emeritus Surgeon in 2001. He has dedicated 36 years to teaching and training dental professionals at the School of Dentistry at The University of Western Australia. 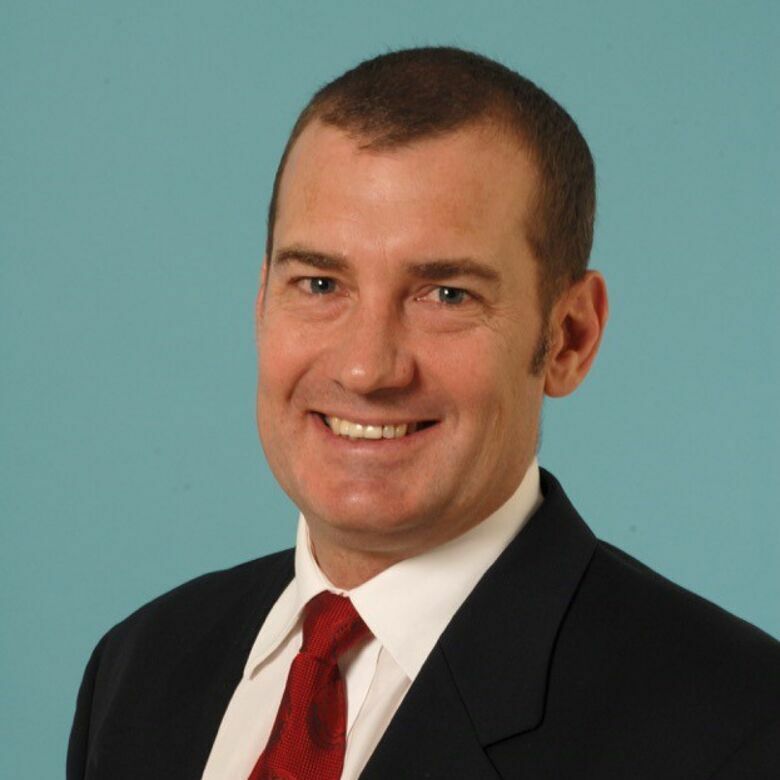 Professor Bryant has practiced as a general podiatrist and podiatric surgeon in WA for many years. He is a podiatry graduate of Curtin University of Technology and completed a PhD on biomechanical changes to the foot following hallux valgus and hallux limitus surgery. 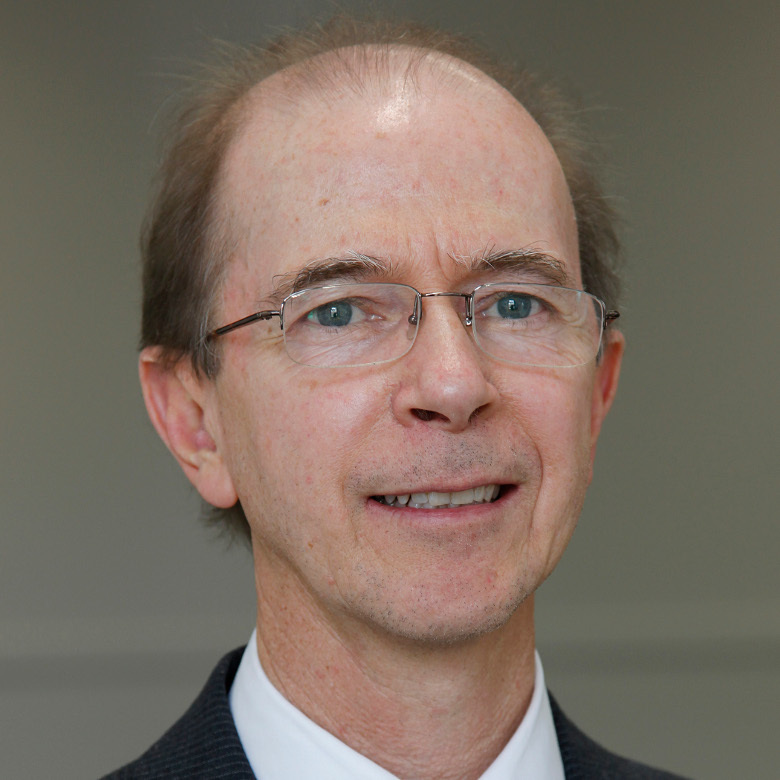 During 2005-2016 Professor Bryant was Head of the Podiatric Medicine Unit at UWA and steered the development of the earlier BPodM and current DPM courses as well as the development of the postgraduate DClinPod program in podiatric surgery. Professor Bryant is in private practice in Mount Lawley and has admitting and surgical privileges at South Perth Hospital, The Park Private Hospital in Mount Lawley and the UWA Podiatric Surgery Clinic. Mr John Croser is a retired Orthopaedic surgeon living in Perth. He has previously worked as Head of the Department of Orthopaedic Surgery at Joondalup Health Campus and Director of Orthopaedic Trauma at Royal Perth Hospital. John is a Life Member of the Royal Flying Doctor Service having served as a Councillor, Federal representative and President of the Eastern Goldfields Section. He was a member of the working party and inaugural Board of Western Operations. 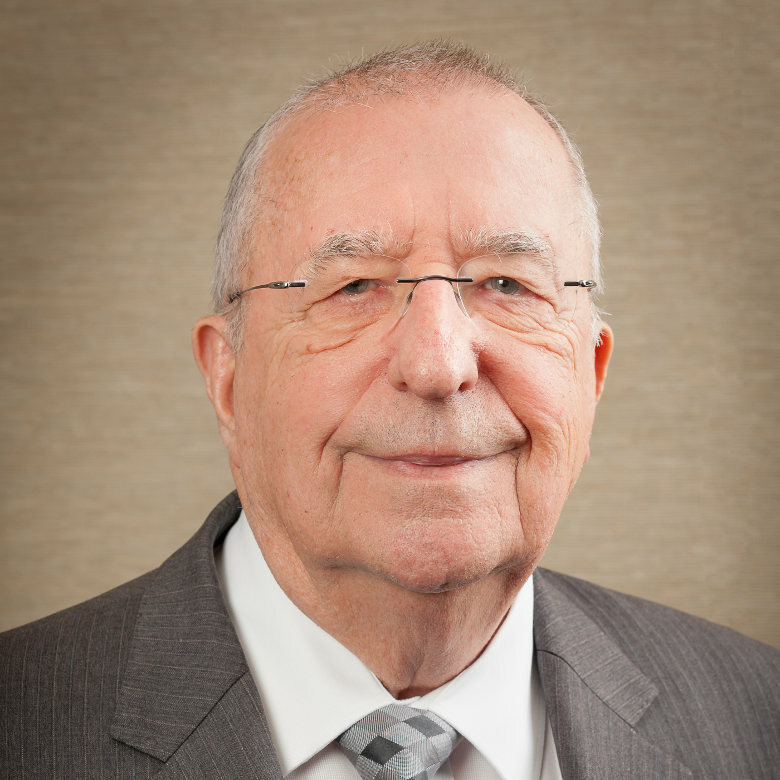 In retirement Mr Croser has continued a commitment to surgical education at a local, national and international level through the Swiss AO Foundation where he has served as the Australian representative on the Board of Trustees. He has directed and participated in fracture management courses in Australia and Overseas and, as Chairman of the AO Socio-Economic committee and has directed courses on fracture management in developing countries. • Undergraduate medical degree from the University of Western Australia. • Postgraduate training in Urological Surgery in Perth, Ireland and the United Kingdom. • Fellow of the Royal Australasian College of Surgeons. • Past Chairman, ASSET Committee, Royal Australasian College of Surgeons. • Past Chairman, Royal Australasian College of Surgeons WA Branch. • Examiner in Urology for Royal Australasian College of Surgeons. • Previous appointment as sessional Urological Surgeon at Sir Charles Gairdner Hospital 2000 - 2015. • Special interests: no-scalpel vasectomy (local or general anaesthetic), microsurgical vasectomy reversal, uro-oncology, laser treatment of stone disease, surgical education, rural surgery. Dr Aileen Donaghy contributed significantly to CTEC in the years of its inception. I am happily in graceful retirement from my specialty Anaesthesia and would like to reflect not on my career but CTEC’s. During my career I was involved as Chairman of the IHLC, Clinical staff RPH. Australian Society of Anaesthetists (WA) and President AMA (WA) and AMA Federal Councillor. Each had its own rewards and ability to have some influence on Health. At least equal to these roles was my time at CTEC. It is difficult to imagine but up to 20 years ago the overwhelming majority of skills training was still done on patients. This can never be entirely eliminated but skills training on simulators has minimised this. CTEC changed all that in WA and helped change it on the International stage. When planned CTEC did not even have a building. The current building was purpose built by The University of Western Australia and they must be given every credit for their vision and commitment. It further came about because of the collaboration, dedication and vision of various groups. These are the WA Government and Health Department lead by Bryant Stokes, The University of WA, the Colleges of Surgeons and Anaesthetists and many dedicated individuals - too many to mention. It should also mentioned that there was support from overseas. In my field, Anaesthesia, we had support, advice and training from the preeminent international experts at Stanford University USA and Harvard University USA. They willingly gave their time and expertise. I enjoyed my visits to both institutions to receive training so as to ensure we were up to international standard. I was proud to be part of the inaugural three person management team expertly lead by Neurosurgeon Richard Vaughan, plus Ron Swann from the Anatomy Department and myself. I am equally proud to see CTEC continue to develop under the current team and hope that in some small way I have contributed. The lesson of CTEC is that new concepts, even ground breaking ones like skills training at CTEC which change the training methods used for hundreds of years, can be done and comes about with the vision, dedication and collaboration of both individuals and organisations. CTEC has earned its rightful place on the international stage and has done our patients a great service up to now and I am sure into the future. Thank you to the University and all others who had the vision and commitment to take a ground breaking concept from an idea to fruition. Thank you also to the current team for carrying the vision into the future. Our patients are better off for it. 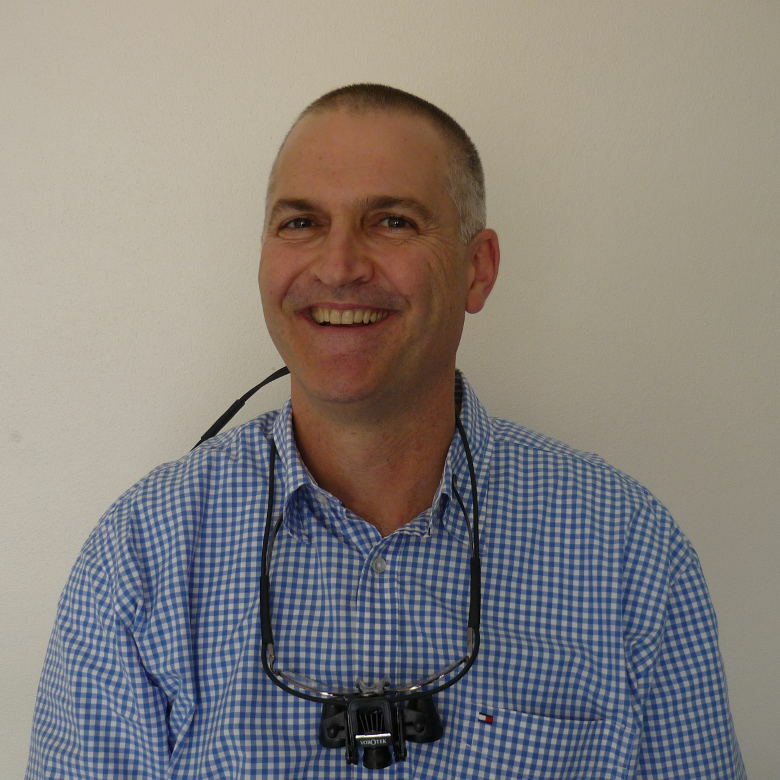 Dr Du Preez is the Principal General Practitioner of St Luke’s Family Practice in Katanning. He has been working in Katanning for over 10 years. Dr Du Preez’s passion lies with Obstetrics and Gynaecology. He offers shared antenatal patient care with gynaecologists. Dr Du Preez also has a strong interest in Dermatology. Professor David Fletcher graduated MBBS from The University of Western Australia in 1970, gained his General Surgical Fellowship from the Royal Australasian College of Surgeons in 1974 and undertook Upper G.I./Endoscopy training at the Royal Post Graduate Medical School and Hammersmith Hospital London (1978-1980). He was an Associate Professor of Surgery at Austin Hospital 1980-94 where was a member of the Victorian Liver Transplant team and was involved in introducing Laparoscopic Surgery to Australia and New Zealand. 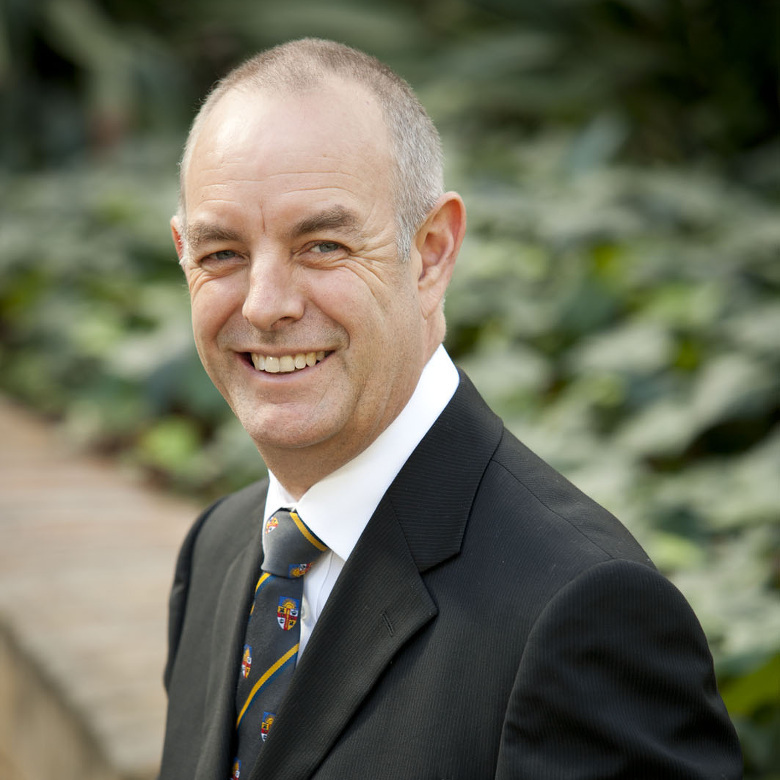 Professor Fletcher is the former President of the Surgical Research Society Australasia, the Chair of the Upper GI Section RACS, and the Foundation Chair of the Endosurgery Group RACS. He is a Professor of Surgery at The University of Western Australia (1994-current), and was Director of Surgical Services at Fremantle Hospital 1996-2014, a member of its Board of Management from 1992-1998 and Chair of the Fremantle Hospital Clinical Staff Association 2011-2015. He was a Member of the Clinical Casemix Committee Australia (1999-2004), Classifications Clinical Advisory Group 2016 (current). Professor Fletcher was an inaugural Board Member of the National Institute of Clinical Studies (N.I.C.S.) 2000-2005, established to close the gap between current and best practice. Professor Fletcher was a member of Reid Committee planning WA Health Care and developing the new West Australian tertiary Fiona Stanley Hospital and South Metropolitan service provision. Professor Fletcher is Head of General Surgery, Lead Surgeon and inaugural President of the Fiona Stanley Hospital Clinical Staff Association (2015-current). Research M.D. (1985) Melbourne gut endocrinology, since surgical epidemiology (both N.H.M.R.C supported) and now health services research. He was elected Councillor of the Royal Australasian College of Surgeons (2015-current), a member of the Sustainability, Professional Standards and Governance/Advocacy Committees, Chair of the Board of Regional Chairs and inaugural Chair Surgical Directors Section. He was appointed member of Medical Services Advisory Committee (2016-current). 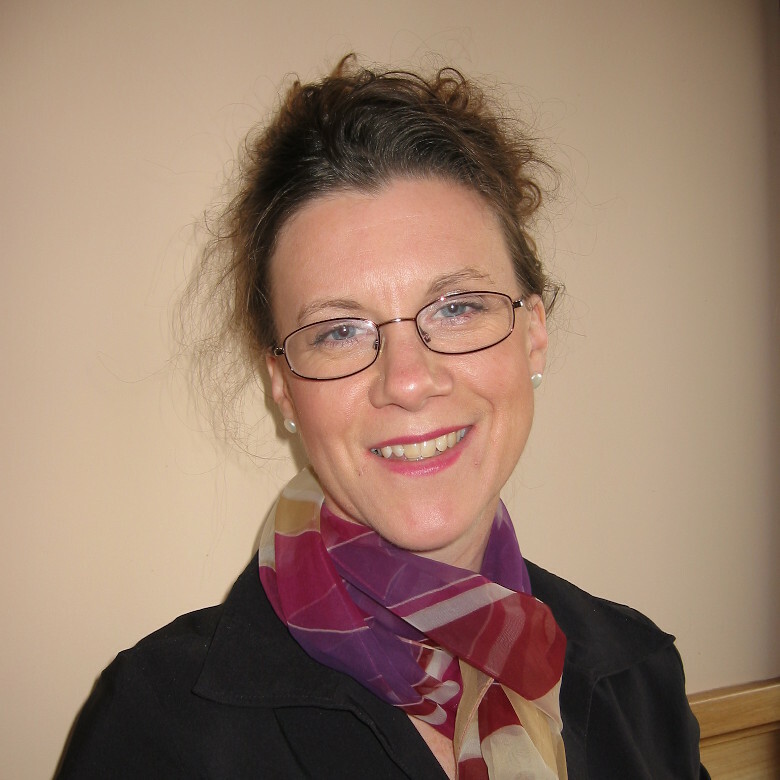 Dr Jodi Graham is a CTEC Gold Convenor and contributed significantly to CTEC 's teaching programmes in Anaesthesia. Professor Hamdorf has an active involvement in the affairs of Royal Australian College of Surgeons (RACS). 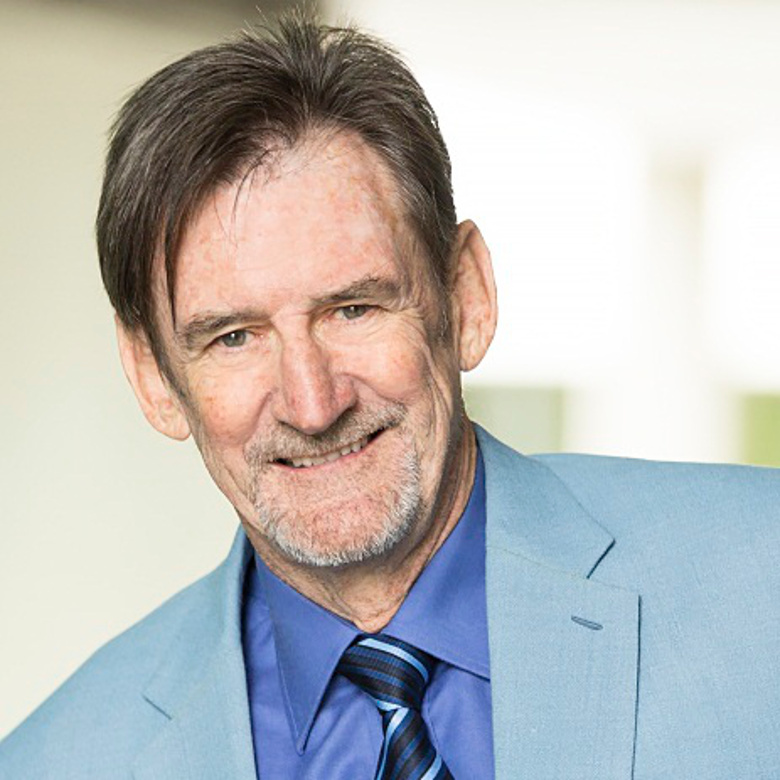 Professor Ian Hammond was a Gynaecologic Oncologist working at the Western Australian Gynaecologic Cancer Service, King Edward Memorial Hospital and St John of God Hospital, Perth, WA, from 1984-2012. He was Director of Gynaecology at King Edward Memorial Hospital, Director of the WA Cancer and Palliative Care Network, Chair of the Australian Society of Gynaecologic Oncologists and served on numerous state and national committees involved in gynaecologic oncology and women’s health. He is an Adjunct Professor in the School of Anatomy, Physiology and Human Biology and Clinical Professor in the School of Women’s and Infants’ Health, University of Western Australia. He was actively involved in postgraduate surgical education, the training of specialist trainees in Obstetrics and Gynaecology and subspecialty trainees in gynaecologic oncology. Professor Hammond was responsible with Mr John Taylor and Professor Paul McMenamin for the development and implementation of the Anatomy of Complications Workshop in Perth and the international workshops in Singapore, Hong Kong and New Zealand. He was the co-director of the workshop in Perth from inception in 2000 until 2010. Professor Hammond chaired the Group that developed the NHMRC guidelines for the management of abnormal Pap smears in Australia. Since 2012 he has been involved in the renewal of the Australian National Cervical Screening Program, and is Chair of the Steering Committee for the Renewal Implementation Project that has oversight for bringing these changes into practice in Australia by 2017. He recently chaired the Guidelines Working Party, Cancer Council Australia that developed the new National Cervical Screening Program: Guidelines for the management of screen detected abnormalities, screening in specific populations and investigation of abnormal vaginal bleeding, that will underpin the new program. In 2011 he was awarded the RANZCOG President’s Medal for Services to Women’s Health. Dr Steve Harding is a CTEC Gold Convenor in recognition of his years of contribution to CTEC's Gynaecologic courses and workshops. 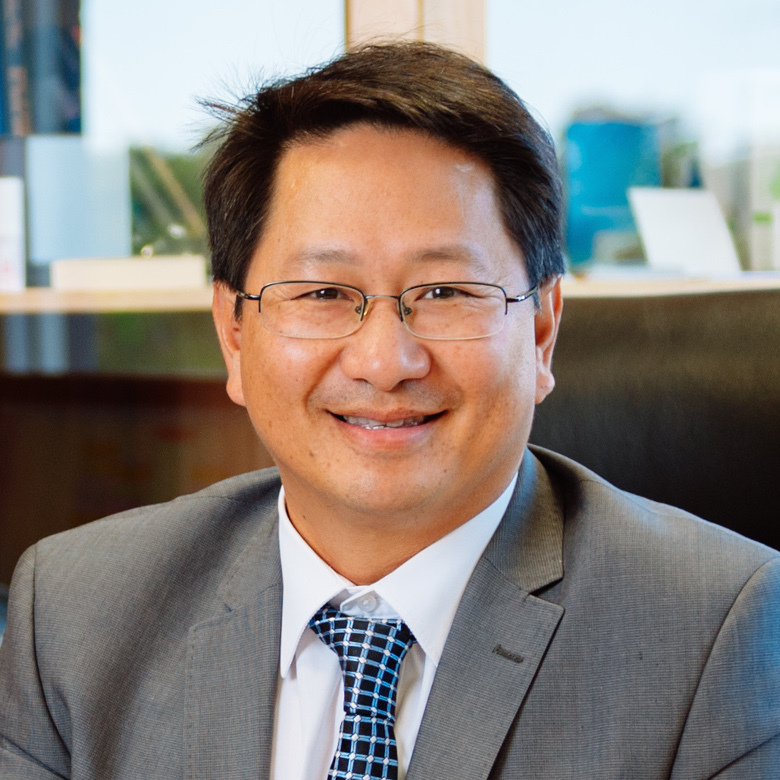 He is a Consultant Obstetrician and Gynaecologist at several Perth hospitals including King Edward Memorial Hospital and St John of God Hospital (Subiaco). 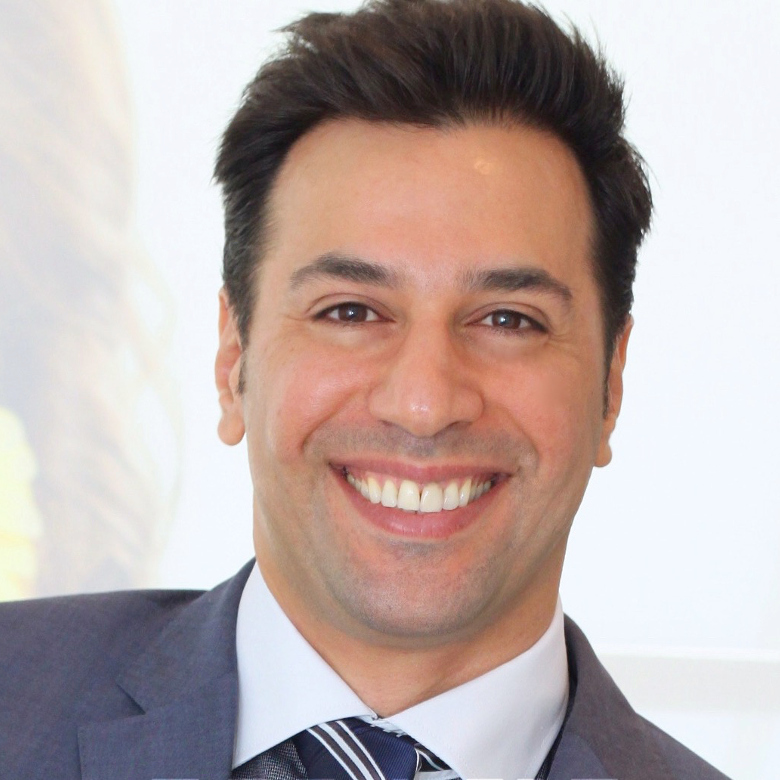 Dr Imani is a certified specialist ENT Surgeon and Facial Plastic and Reconstructive Surgeon in Perth. He is a fellow of the Royal Australasian College of Surgeons (FRACS), the only official body training and representing specialist surgeons in Australia. Dr Imani received his medical degree from the University of Western Australia, graduating with Honours. He then went on to complete his Masters of Surgery degree (Head and Neck Surgery) at the University of Melbourne also graduating with Honours. 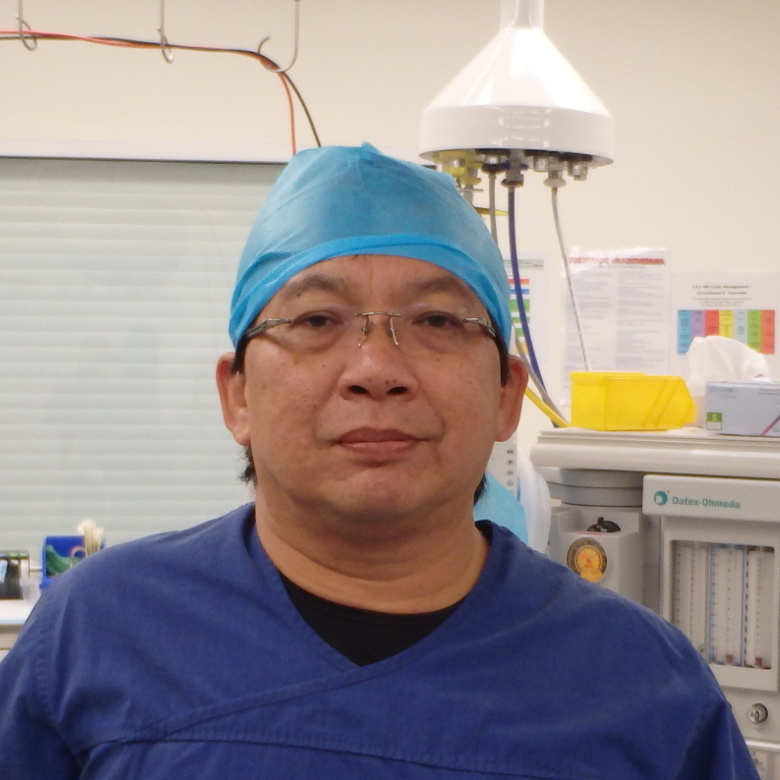 He completed his specialist training in Otorhinolaryngology, Head and Neck surgery in Perth, Western Australia. Dr Imani then embarked on post fellowship training in international centres of excellence in Facial Plastic Surgery. He has completed the prestigious European fellowship in Facial Plastic Surgery under the guidance of the ex-president of the International Federation of Facial Plastic Surgery Society and the European Academy of Facial Plastic Surgery, Prof. G. Nolst Trenité in Amsterdam, Holland. He also worked closely with Dr H Vuyk in Blaricum, Holland and the president of the German Aesthetic-Plastic Surgeons, Prof. W. Gubisch in Stuttgart, Germany. Dr Imani went on to train further in North America, under Prof. T. Cook (ex-president of the American Academy of Facial Plastic and Reconstructive Surgery) and Prof. T. Wang, current president of the American Academy of Facial Plastic and Reconstructive Surgery to further his education in facial aesthetic and reconstructive surgery. Lastly, Dr Imani completed the Brazilian Academy of Facial Plastic Surgery fellowship under the guidance of Prof. J. Maniglia, the ex-president of the Brazilian Academy of Facial Plastic Surgery. Dr Imani specialises in rhinoplasty, eyelid surgery, facelift surgery, sinus surgery and non-surgical facial rejuvenation. He is a consultant surgeon at Sir Charles Gairdner Hospital in Nedlands and is actively involved in teaching surgical trainees, junior doctors and medical students. Clinical Associate Professor Shirley Jansen is the Head of Department of Vascular and Endovascular Surgery at Sir Charles Gairdner Hospital, a Clinical Associate Professor in Surgery at The University of Western Australia and an Associate Professor at Curtin University of Technology. 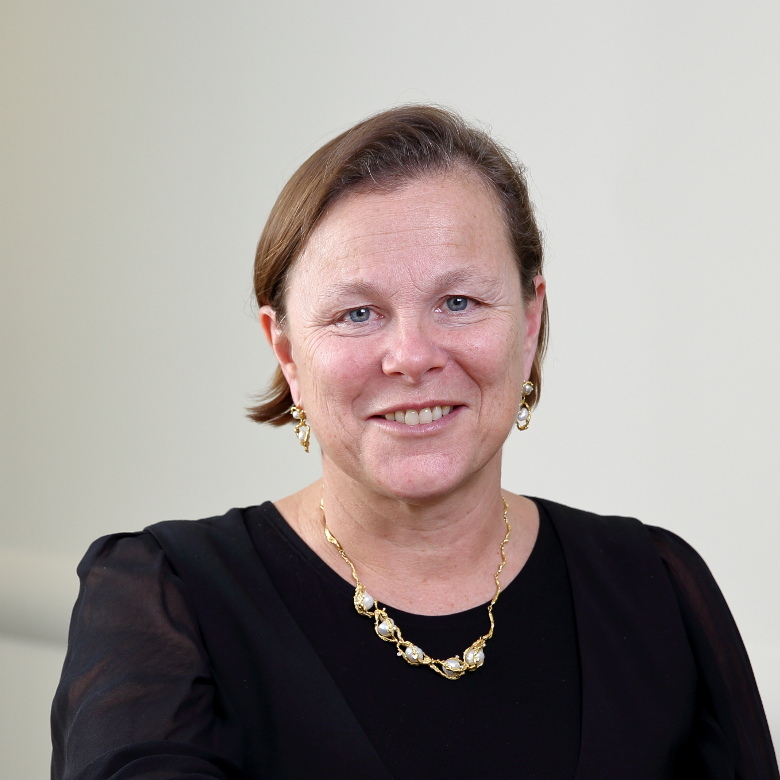 Her research interests include cognitive function in carotid disease, topical negative pressure therapy for venous disease, complex leg ulcer management and clinical trials. Associate Professor Jansen is a PhD student supervisor and convenes CTEC’s anatomical vascular surgery workshops. Associate Professor Karthigasu is Gold Convenor of CTEC's Gynaecological workshops. 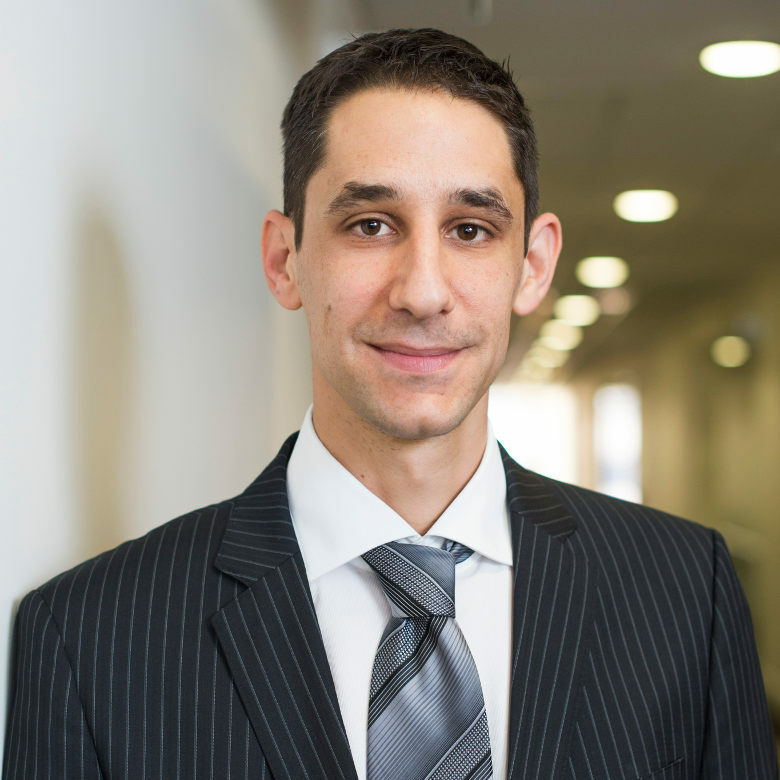 Dr Nick Kontorinis is a Consultant Gastroenterologist appointed at the Royal Perth, St John of God Subiaco and Sir Charles Gairdner Hospitals in the Department of Gastroenterology and Hepatology and the WA Liver Transplantation Service. He was Head of Department and Director of Physician Education at Royal Perth Hospital. He is a CTEC Gold Convenor in recognition of his long standing contribution to CTEC's Gastrointestinal surgical training workshops. 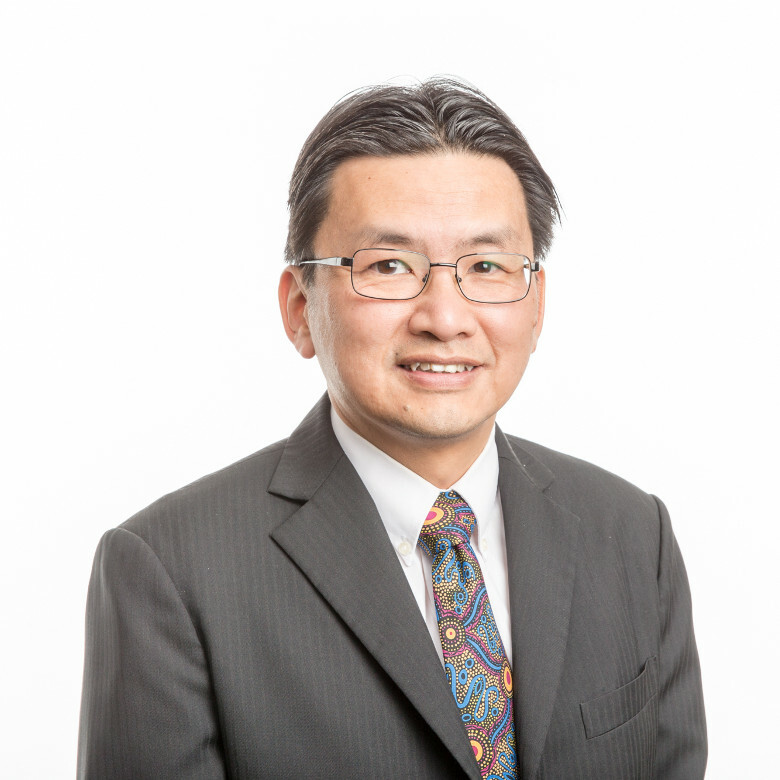 Professor Lee is a Consultant Neurosurgeon with a long track record of teaching and research, with a significant publication record. He recently stepped down from the Board of Neurosurgical Society of Australasia, after serving for five years. At Hollywood Private Hospital, he sees patients in his consulting suites at Hollywood Medical Centre. He holds a public appointment at Sir Charles Gairdner Hospital. He is a CTEC Gold Convenor in recognition of his contributions to CTEC's neurosurgical workshops. Associate Professor Lejmanoski is a dentist who has worked in both public and private sectors with many years of extensive general practice experience. This includes the management of medically compromised patients. 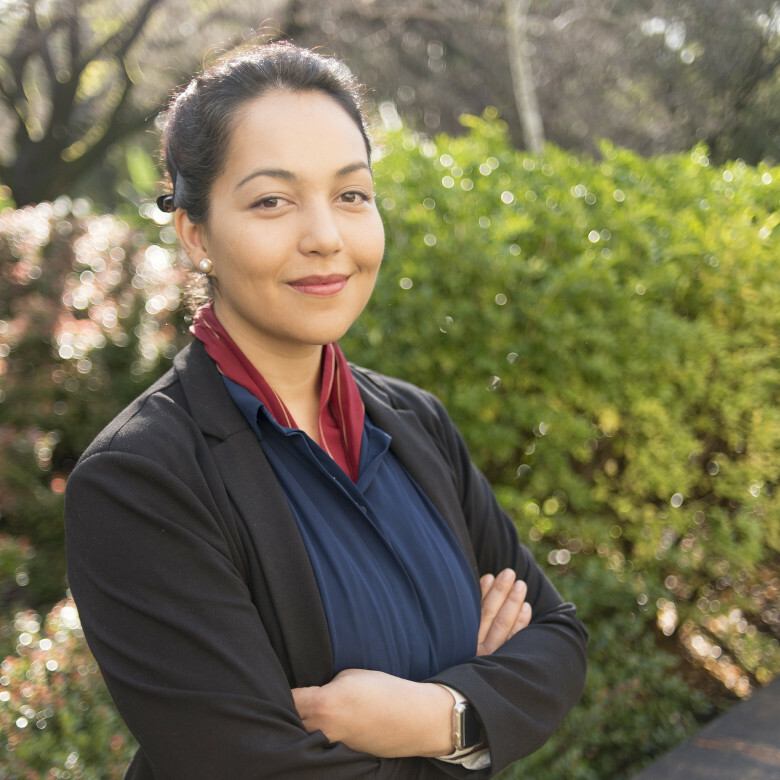 She has participated on surveying teams for the Australian Council of Health Care standards and has been an examiner for the Australian Dental Council. 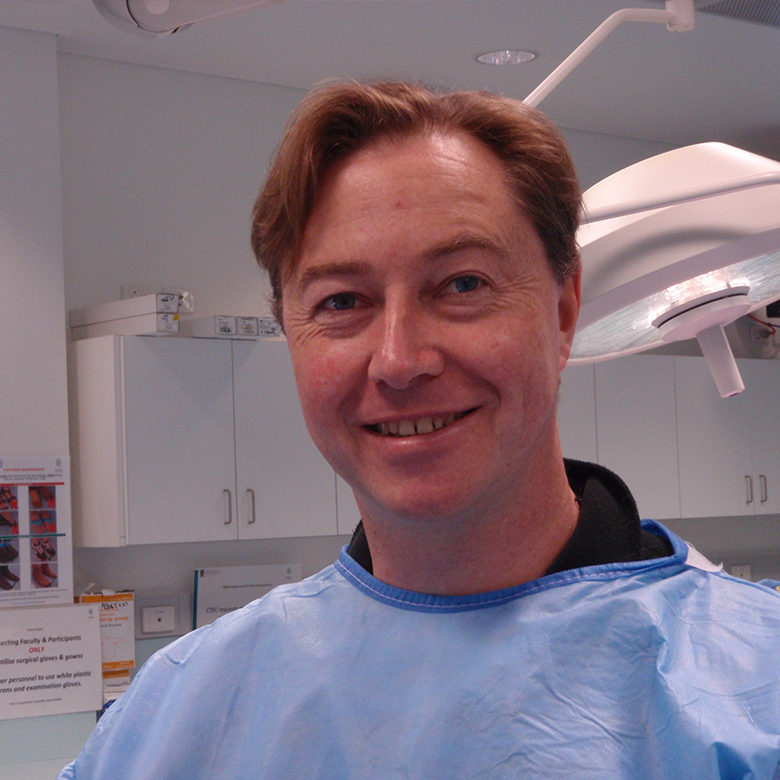 Associate Professor Lejmanoski has contributed to dental teaching for over 20 years. From 2002 she has coordinated and taught the final year dental students up until 2009. She has many developmental achievements including introducing community service into the final year curriculum. Associate Professor Lejmanoski has been acknowledged for her services to dentistry and education with fellowships in the Pierre Fauchard Academy and the International College of Dentists. 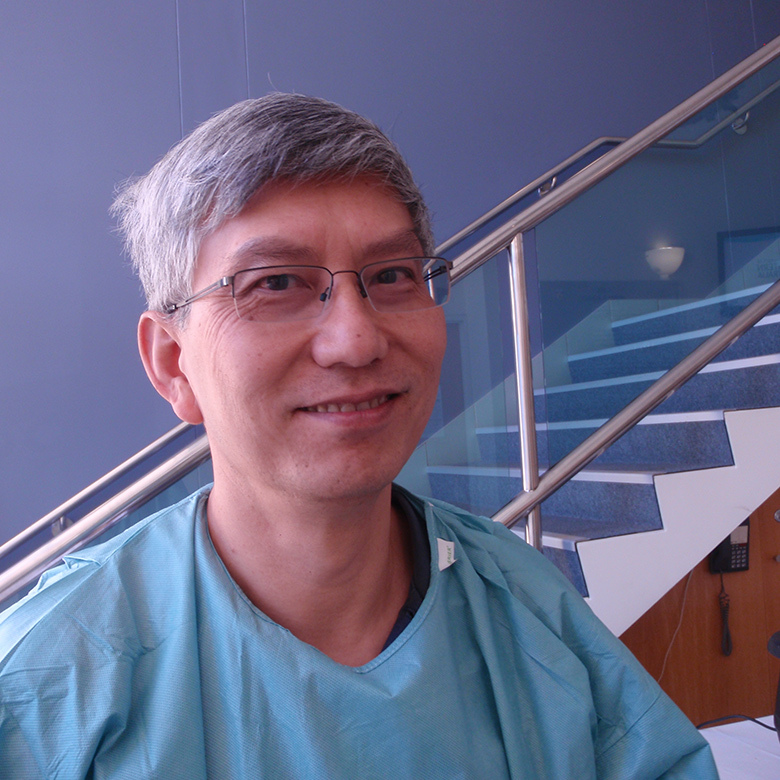 Professor Leung is an enthusiastic teacher and has a special interest in teaching in the operating room. He was the developer and facilitator of the Multidisciplinary Laparoscopy Group meetings in WA and the Perth Total Laparoscopic Hysterectomy Masterclass. He actively promotes the “rules” that improve the execution of a surgical skill. The late Dr Val Lishman became in 1965 the first surgical specialist to work outside of Western Australia’s capital city of Perth, setting up practice in the state’s South West region. Dr Lishman arrived in WA from England in the mid-1960s, to work at a Bunbury Hospital, only to discover that it hadn’t yet been built. Despite that introduction to WA, Dr Lishman grew to love his adopted home and based the rest of his life in the South West, becoming well known and respected for contributions exceeding his duty as a surgeon. He served community hospitals throughout the region and was active in his local community, particularly in the sporting arena. A keen swimmer, he served as honorary medical officer for the Bunbury Surf Lifesaving Club and was heavily involved in setting up Bunbury’s first ‘Fun Run’. He was also a stalwart of the Bunbury Rotary Club and he and his wife Jean were instrumental helping found the Bunbury Cathedral Grammar School in 1972. 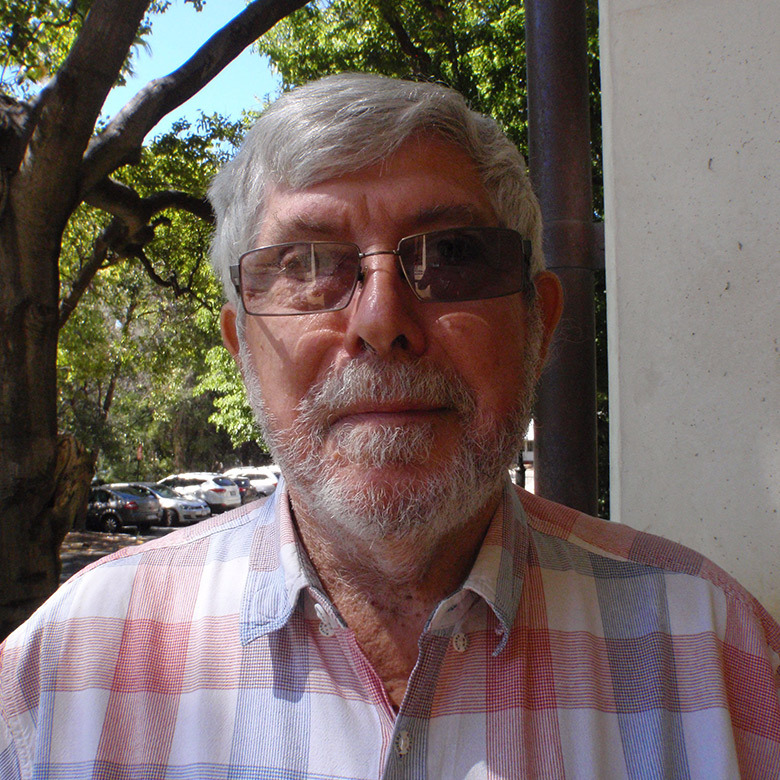 Dr Lishman continued to work and promote medical education into his eighties, working as a locum in remote areas of WA and convening CTEC’s three State Conferences in 2012, two of which were based in Bunbury. Dr Lishman had numerous awards bestowed upon him over his distinguished career. In 1992 he became a Member of the Order of Australia for his services to medicine. 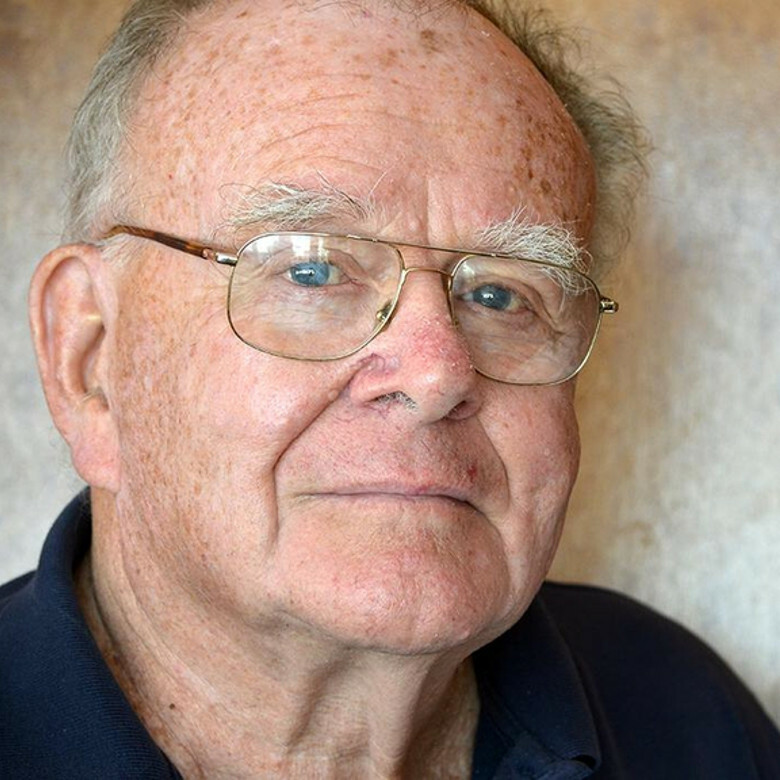 When Dr Lishman retired in 1997 the Val Lishman Health Research Foundation was named in his honour, and continues to conduct health research in rural Western Australia. 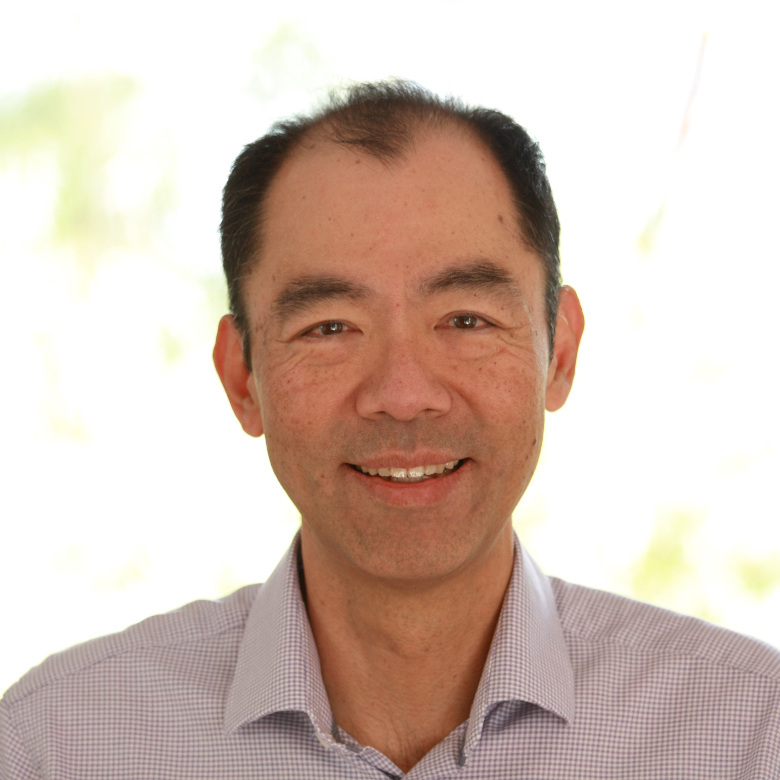 In 2010 he was named the AMA WA Doctor of the Year in recognition of his career and his continuing outstanding contributions to medicine in Western Australia. Dr Diane Mohen completed her medical training in 1980, and commenced her career as a rural general practitioner, providing services in the Perth metropolitan area and Western Australian towns of Kalgoorlie and Narrogin. She then worked overseas for 2 years as a volunteer with Australian Volunteers Abroad, before undertaking her Obstetrics and Gynaecologic training, some of which was completed in the United Kingdom. Dr Mohen then provided rural locum support to Geraldton and Port Hedland before settling in Bunbury and serving with the South West Gynaecology Practice. Over the past 19 years Dr Mohen has served and chaired numerous committees and has worked in an advisory capacity in clinical and personnel areas. 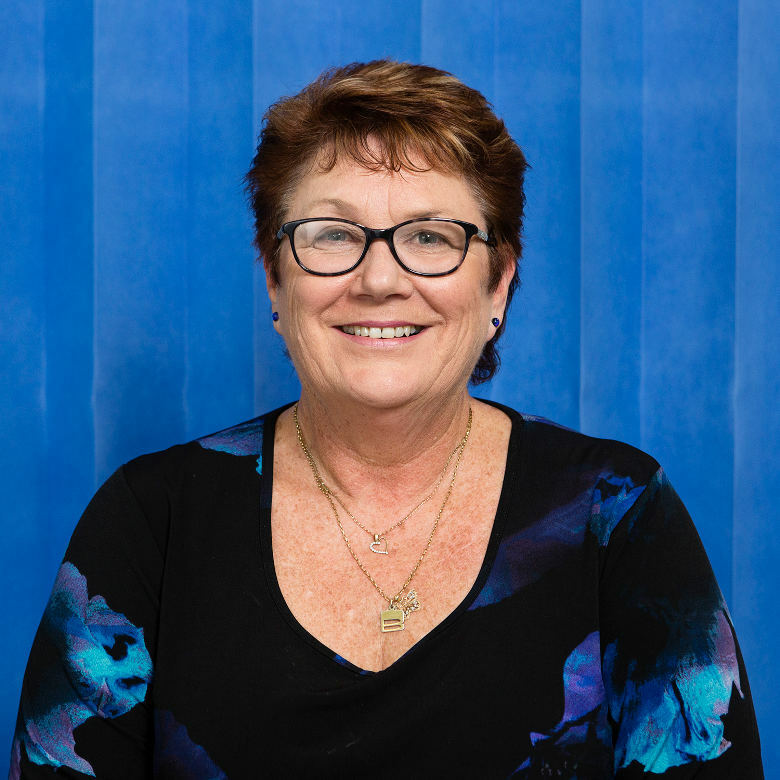 She has been Chair of the RANZCOG Provincial Fellows Committee and past Chair of the St John of God Hospital Medical Advisory Committee in Bunbury. Dr Mohen has worked with WA Country Health Service for many years, and has been the Rural Medical Director of the Statewide Obstetric Support Unit, Obstetrics Clinical Lead for WACHS, and Head of Department, obstetrics & gynaecology for Bunbury Hospital. She also sits on the GP Obstetrics Mentoring Committee and is committed to teaching, research, quality and patient safety. 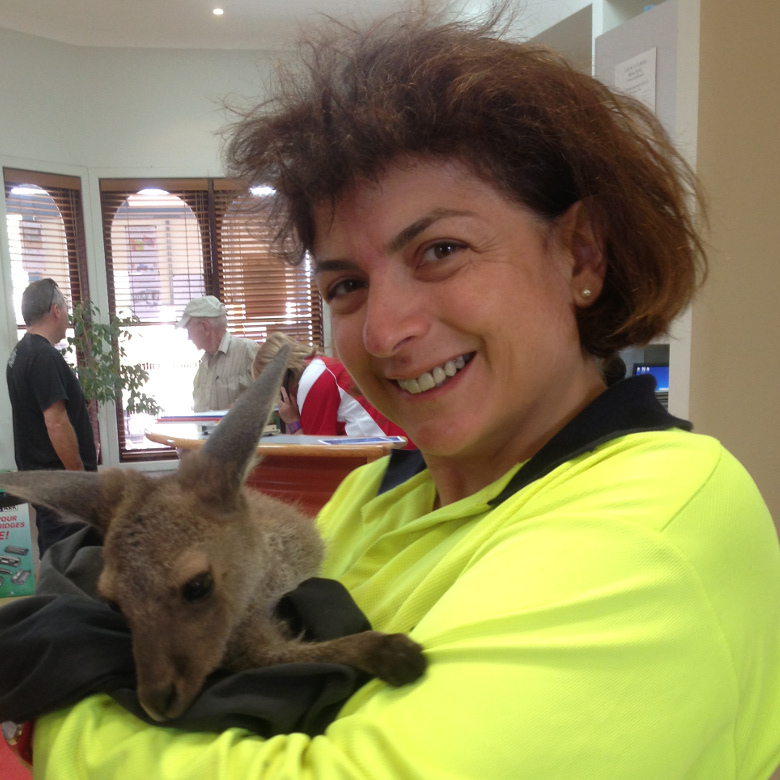 In 2014 her achievements were recognised with the the Rural Health West Outstanding Hospital Doctor Award. 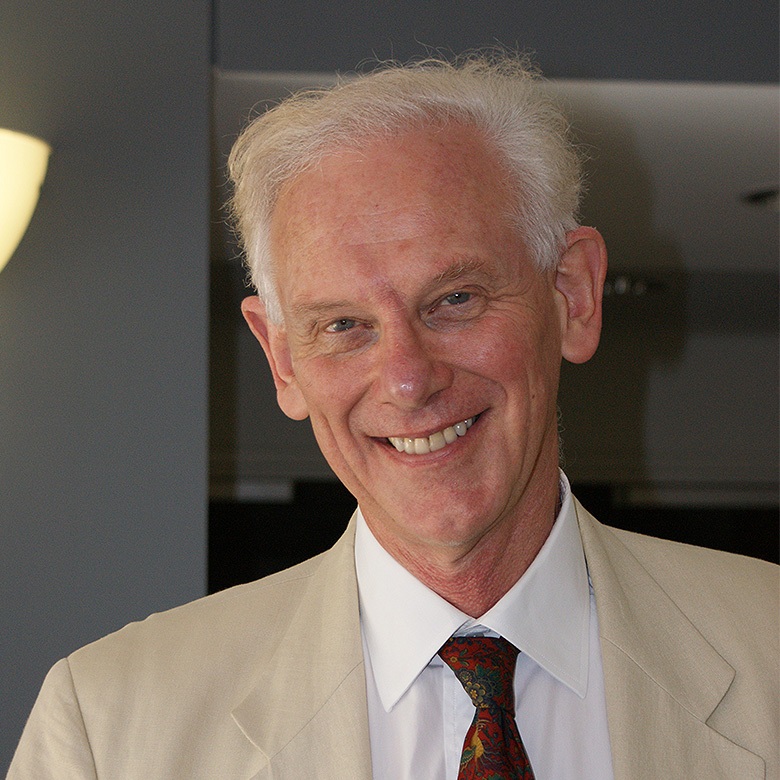 Professor Richard Naunton Morgan trained in the United Kingdom and Australia. He is a Consultant Upper Gastrointestinal and General Surgeon at Sir Charles Gairdner Hospital and Fremantle Hospital. Professor Naunton Morgan has an interest in error avoidance, early recognition of complications and delay minimisation. He is an EMST and CCrISP Senior Instructor, ASSET Director, DSTC Instructor, a Facilitator of Teaching on the Run Modules, Advisory Faculty and Instructor on the Anatomy of Complications Workshop, and the Convenor of CTEC’s Core Skills: General Surgery Trainee workshop. Professor Naunton Morgan is also a Faculty member for CTEC’s Core Skills: Laparoscopic General Surgery Workshop. He is a Discipline leader and Professor of Surgery at The University of Notre Dame, Fremantle. 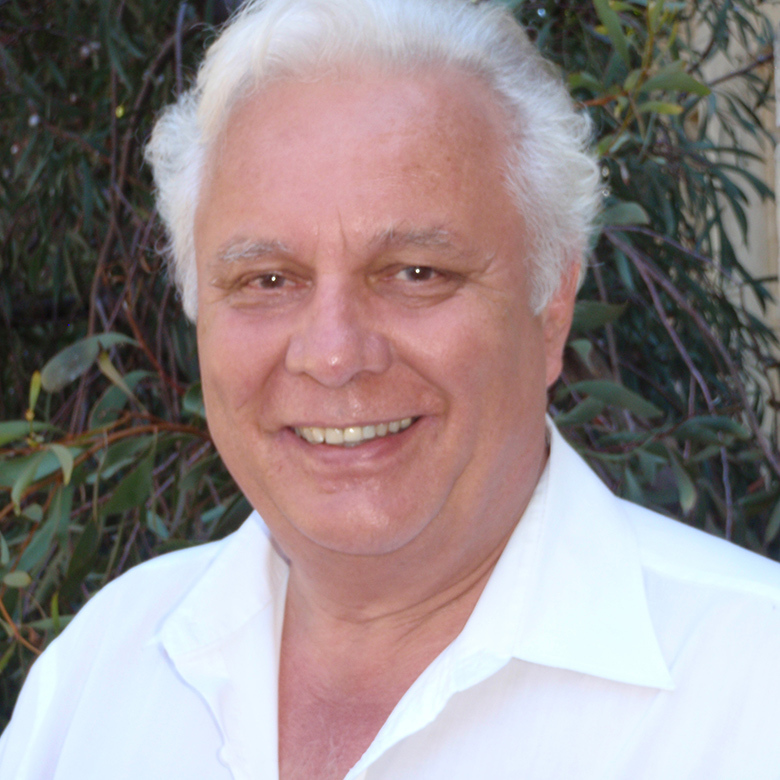 Clinical Professor Newman graduated from The University of Western Australia with an MBBS (Hons) in 1978. He trained in Cardiothoracic Surgery at Royal Perth Hospital and attained FRACS in 1985. Professor Newman spent two years doing research at the Baker Institute in Melbourne which resulted in a Doctorate of Surgery. He spent a year in Southampton UK as Senior Registrar in Cardiothoracic Surgery. He returned to Royal Perth Hospital and was appointed Consultant Cardiothoracic Surgeon in 1991. In 1993 he was appointed as Director of Cardiothoracic Surgery at Sir Charles Gairdner Hospital. Professor Newman has spent his career as a full-time Public Hospital surgeon and has an interest in teaching and research. Professor Paul Norman is a Vascular Surgeon based at Fiona Stanley Hospital and Professor of Vascular Surgery at The University of Western Australia. His main area of research interest is abdominal aortic aneurysms (AAAs) including epidemiology, screening, natural history, biomarkers, genetics and studies of pathogenesis. He was the lead investigator of the Western Australian trial of screening for AAA (1996-2004) which involved the randomisation of ~40,000 men. Other areas of research interest include: the epidemiology of peripheral arterial disease, the pathogenesis and clinical consequences of diabetic arterial disease (particularly High Risk Foot) and the assessment of cardiovascular risk. Since 1996 he has (with various collaborators) received multiple NHMRC project grants as well as funding from NIH and the Wellcome Trust. He held an NHMRC Practitioner Fellowship in 2007-11. He has published over 220 peer-reviewed papers. Professor Norman teaches clinical aspects of vascular disease and surgery in general to medical students and has convened numerous advanced and trainee level CTEC workshops vascular surgery. 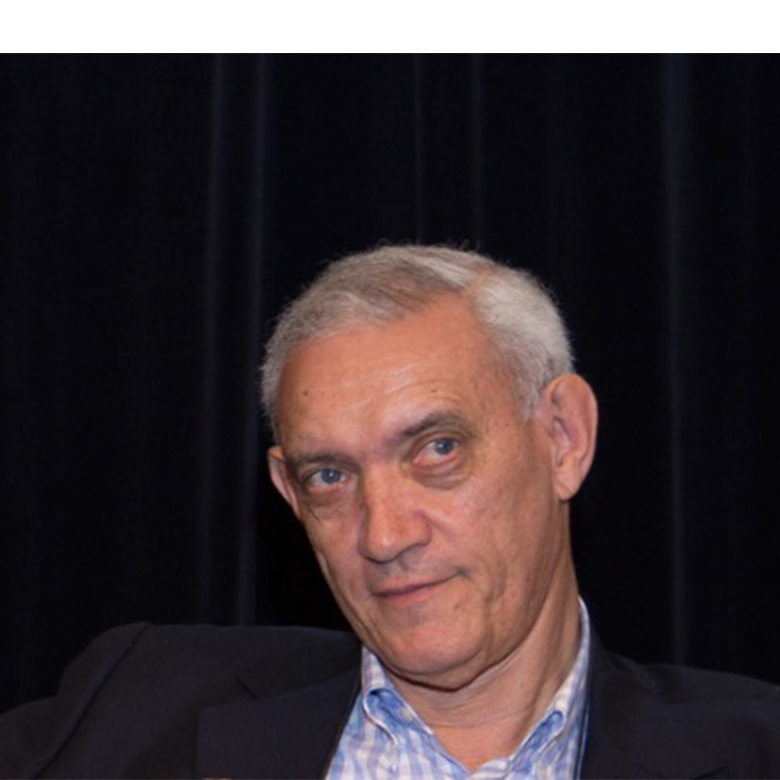 Dr Donald Ormonde is a gastroenterologist who underwent his graduate training at the University of Western Australia. Following this he completed a PhD and subsequently underwent further studies in Toronto Canada completing a Masters in interventional endoscopy from the University of Toronto. During that period he sub-specialised in interventional endoscopy and advanced diagnostic endoscopy including gastroscopy, colonoscopy, ERCP. 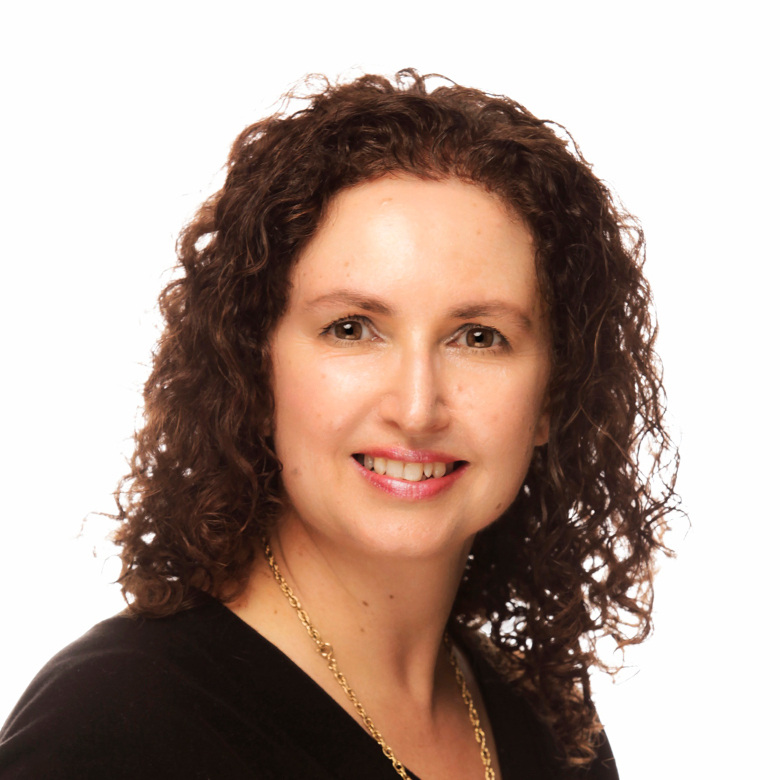 Dr Ormonde is also an Associate Clinical Professor at the University of Notre Dame and a Consultant Gastroenterologist at Sir Charles Gairdner Hospital. He is currently the Vice President and due to be President of the International Federation of Facial Plastic Surgery Societies (IFFPSS) in October 2016 and he is a member of the IFFPSS Executive Committee. Mr Rawlins has a busy public and private practice. His specialist interest areas include Plastic Surgery Trauma and Burns – an area of plastic surgery he has been involved in since his undergraduate days); Skin cancer (including Melanoma); Head and neck cancer; Body contouring; Scar improvement; and Cosmetic surgery. Mr Rawlins has a particular interest in reconstructive microsurgery and the use of ‘free flaps’ and ‘perforator flaps’ in his plastic surgery practice. 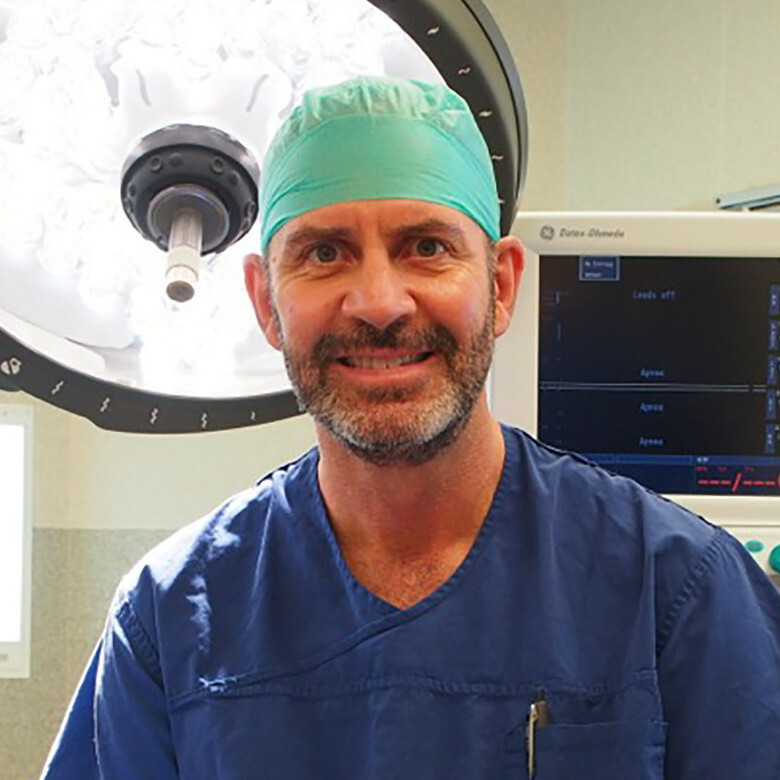 Associate Clinical Professor Riley is a practicing anaesthetist at Royal Perth Hospital, having trained in anaesthesia in both Australia and the United States of America. 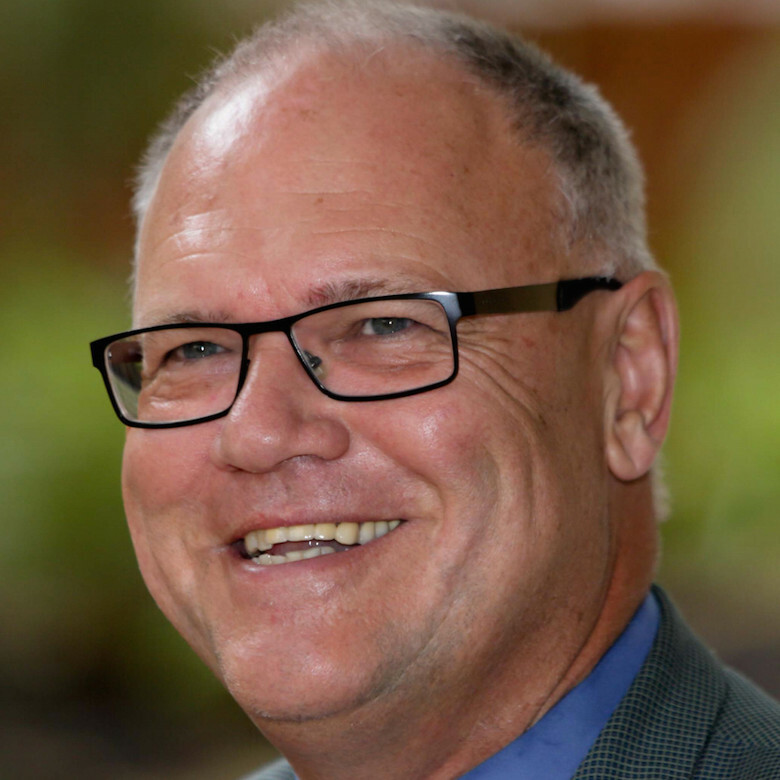 He has a strong interest in medical simulation and from 2001 to 2003 he was the Clinical Director of the Centre for Anaesthesia Skills and Medical Simulation, part of CTEC at The University of Western Australia. He was a Medical Adviser for WA Health’s Clinical Simulation Support Unit from 2014 to 2014. In 2006 he was the Meeting Chair for the International Meeting on Medical Simulation. He is the Chief Editor of the Australasian Anaesthesia Journal since 2009. Associate Professor Riley has edited a substantial handbook on the use of simulation in various healthcare settings ranging from emergency medicine, intensive care, anaesthesia, military medicine, nursing and obstetrics. Published by Oxford University Press, the Manual of Simulation in Healthcare (1st edition 2008, 2nd edition 2016 ) involves impressive contributions by simulation experts drawn from all around the world. In 2009, Associate Professor Riley received a prestigious Book Award from the British Medical Society in recognition of the quality of his literary achievement. In 2011 he and Dr Geoff McConnell were awarded the Simulation Australia Achievement Awards for significant contribution to the development of modelling and simulation science, technology, policy, standards and / or industry in Australia. Associate Professor Riley also has interests in difficult airway management and obesity. Professor Christobel Saunders is a Consultant Surgeon at Royal Perth, St John of God and Fiona Stanley Hospitals in Perth, Western Australia. She is Professor of Surgical Oncology, Head of Unit General Surgery and Deputy Head School of Surgery at The University of Western Australia; and holds various research roles in the breast and melanoma cancer field. 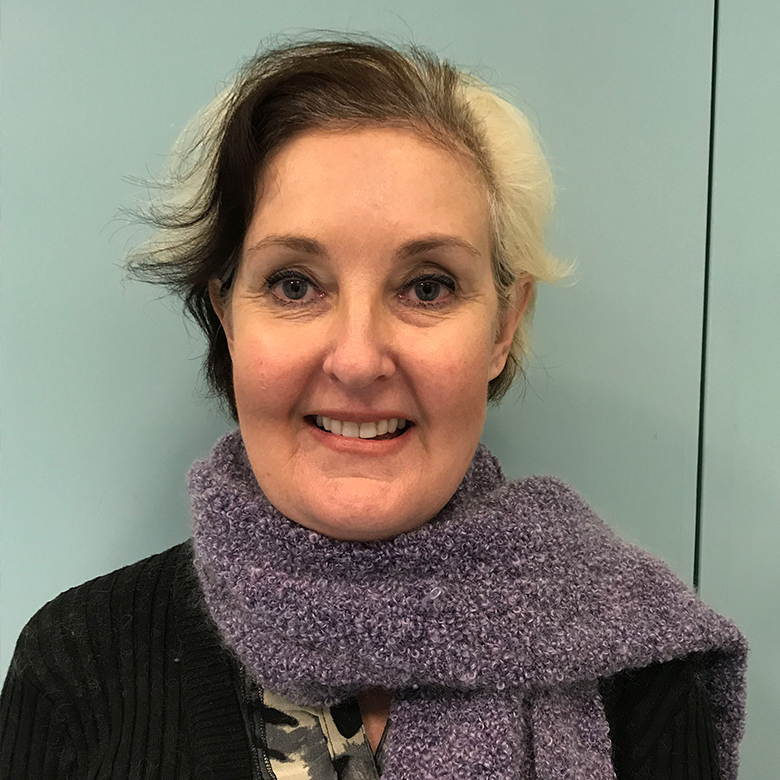 Professor Saunders is closely involved in strategic planning and management of cancer services nationally and within the State as Board Member of Breast Cancer Network Australia and Cancer Council Western Australia. She has been involved in the development of numerous best practice guidelines for patients and clinicians and her work is embedded in a firm evidence base implementing the latest research. Professor Saunders has worked in the breast cancer field for over 25 years and in 2010 received the National Breast Cancer Foundation (NBCF) Patron’s Award for achievement in breast cancer research, as well as a Certificate of Outstanding Service from the Royal Australasian College of Surgeons. Her research covers a wide diversity of areas including clinical trials of new treatments, psychosocial research and translational and health services research; and in 2012 and 2013 was a finalist for the ANSTO Eureka Prize for Innovative Use of Technology for her involvement in the microscope-in-a-needle device. Professor Saunders has an exceptional funding track record, having attracted a career total of over $30 million in 85 grants awarded in Australia since 2002. She has published over 150 scientific papers in refereed journals, two books and 19 book chapters. 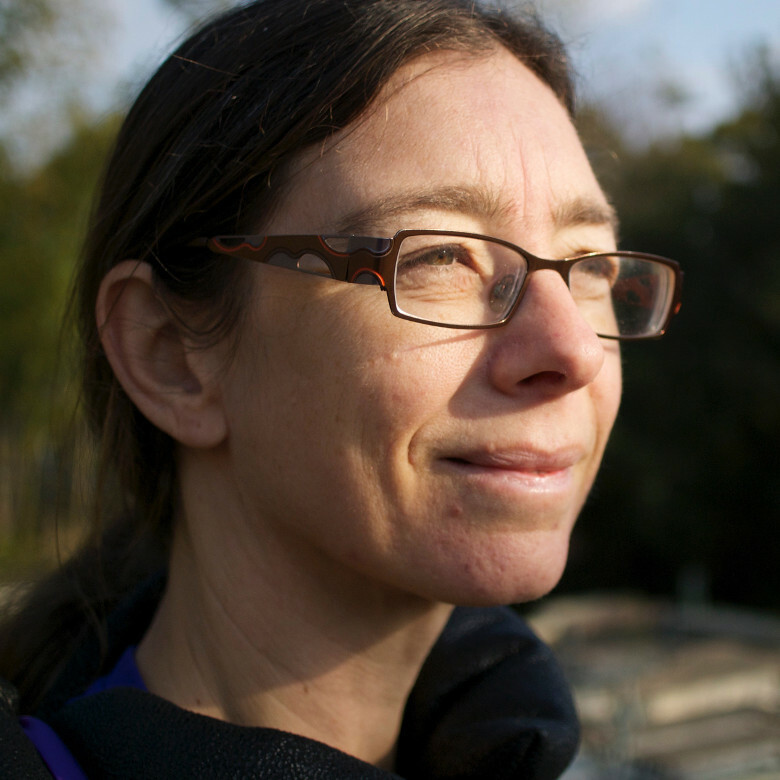 She is a co-author of the book Breast Cancer - a guide for every woman and Breast Cancer: The Facts, which was shortlisted for the BMA Book of the Year in 2010. Professor Saunders’ expert opinion, advice and involvement continues to be highly sought-after for various state and national projects, and she is frequently requested to participate in media interviews and present at many local, state, national and international conferences. Ms Sperring has worked in the area of Plastic Surgery and Burn management since 1978, focusing on ambulatory care management of non-major trauma. Her extensive knowledge and experience in Plastic Surgery and wound care has been shared with health professionals throughout Western Australia through her role as a clinician and educator. She has coordinated and presented in many educational events across the State including the Burn Management Programme and Wound Care for Health Professionals. She has published articles on both wound management and Telehealth. In 2007 she was instrumental in establishing the multidisciplinary Plastic Surgery Telehealth Service. She received Life Membership to Australian Wound Management Association in 2013 “in recognition of conspicuous contribution to and eminence in the field of ‘wound management’”. 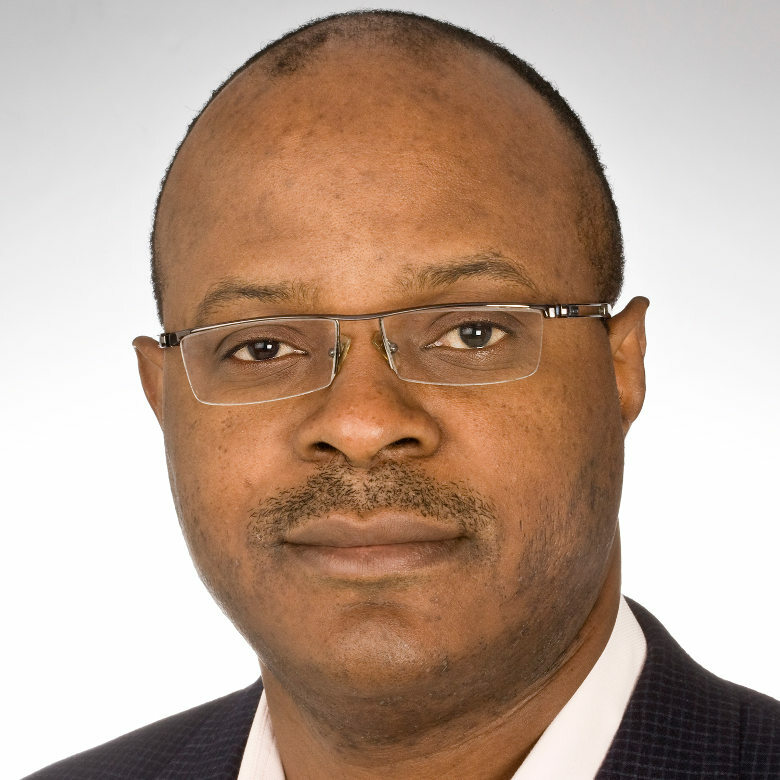 Professor Stokes is an eminent Professor of Neurosurgery, with a strong professional clinical profile and has a proven track record at the executive and operational levels of the organisation. In 1962 Professor Stokes was a Lecturer in Anatomy at The University of Western Australia (UWA). Professor Stokes has previously acted in the role of Commissioner for Health; Examiner in Neurosurgery; he is the immediate past Chairperson of the WA Council on Safety and Quality in HealthCare and has carried out successful investigative reviews across State and Commonwealth jurisdictions. He has also held the position of Chair of the Governing Council for the South Metropolitan Health Service. As Acting Commissioner of Health in 2000 Professor Stokes assisted in the development of the Clinical Training and Evaluation Centre (CTEC) at UWA. Professor Stokes has recently carried out the Review of the Adverse Events to the Seasonal Influenza Vaccine 2010, the Review of Four Hour Rule Program Issues and Progress in Stage One Hospitals December 2011; the Admission and Discharge Referral Practices for the Metropolitan Hospital Emergency Departments 2011: and the Review of the Admission or referral to and the Discharge or transfer practices of public mental health facilities/services in Western Australia 2012. Following the resignation of Kim Snowball from the position of Director General of Health on 15 March 2013, Professor Stokes was appointed A/Director General of Health until the permanent appointment of Dr David Russell-Weisz as the current Director General of Health in August 2015. With the establishment of the 5 Metropolitan Health Service Boards on 1st July 2016, Professor Stokes is currently the Chair of the North Metropolitan Health Service Board. Mr Strahan qualified as a surgeon in 2009. He works in the public health system at Fiona Stanley, Armadale and Bentley hospitals and has private rooms in South Perth. He is Director of Surgery at Bentley Hospital and was involved in the development of the Plastics Department at Fiona Stanley Hospital. His fields of expertise are hand surgery, skin cancers and trauma and he spent 12 months in the UK honing these skills. Mr Strahan is married with three children and enjoys all forms of sport. He rode in the Sun Super Ride to Conquer Cancer in October 2013. He spent the first two weeks in September 2014 in Laos operating on disadvantaged adults and children, funded by the organisation Interplast, and was invited back in 2015. Dr John Taylor is a CTEC Gold Convenor who was actively involved in the training of specialist trainees in Obstetrics and Gynaecology and in the teaching of urogynaecologic surgical techniques to specialist colleagues. She trained in Perth at Sir Charles Gairdner, Osborne Park, Royal Perth and Fremantle Hospitals. After gaining Fellowship of the Royal Australasian College of Surgeons in 2001, she continued to serve the public hospital system, participating in undergraduate and postgraduate teaching and supervision. She brings home broad experience in laparoscopic surgery and also in postgraduate and post-fellowship teaching skills. She established Western Surgical Health at Perth’s Hollywood Hospital with Professor Jeff Hamdorf in 2008 and consults with private and public patients. She has extensive experience with general surgery and has a special interest in laparoscopic surgery, including Hernia repairs, Appendicectomies and in Bariatric Surgery including adjustable Gastric Banding, Sleeve Gastrectomy and Hiatus Hernia repairs. Mr Lip Teh is a consultant Plastic and Reconstructive Surgeon. 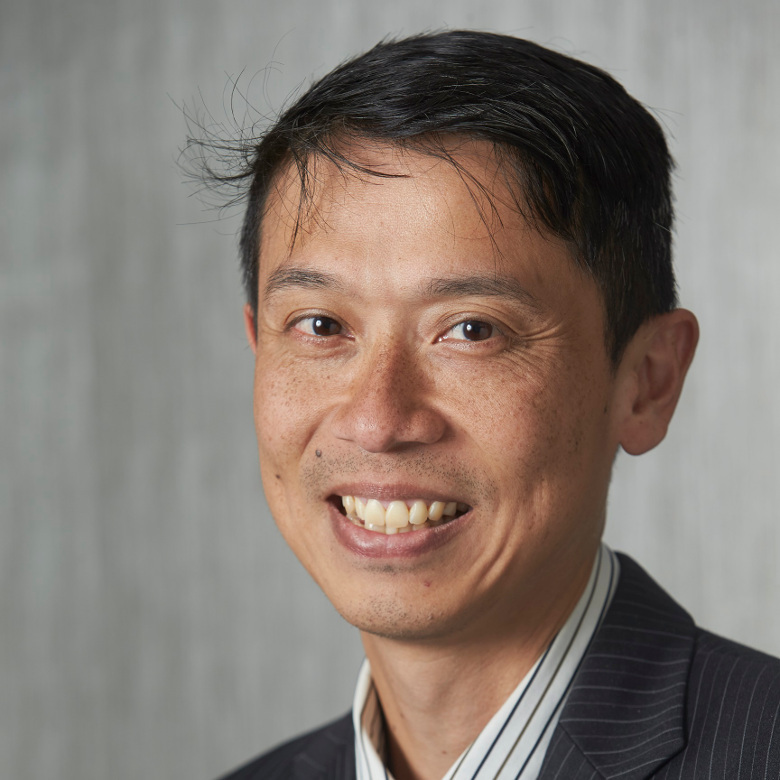 Following 4 years of surgical experience in General and Vascular Surgery, Mr Teh commenced his specialist training in Plastic Surgery at Royal Perth, Sir Charles Gairdner and Princess Margaret Hospitals. He was awarded a Fellowship of the Royal Australian College of Surgeons (FRACS) in Plastic and Reconstructive Surgery in the beginning of 2007. Mr Teh's special interests include cosmetic facial surgery, head and neck surgery, all aspects of breast aesthetic and reconstructive surgery, hand surgery, microsurgical perforator flaps, microfat grafting and liposculpturing. He has worked under the tutelage of the pioneers and world experts of the MACS facelift and DIEP flaps for breast reconstruction in Belgium. In addition, he has completed fellowships in hand, breast, craniofacial and cosmetic surgery at the Royal Devon and Exeter Hospital in the United Kingdom; the Universitäts Spital Zürich in Switzerland; the Mannheim Beauty Clinic in Germany; the Erasmus University Medical Center in Rotterdam and the Scheveningen Cosmetic clinic in The Hague. Mr Teh is actively involved with the teaching of surgical trainees, hospital residents and medical students and he has been the principal investigator in a number of surgical publications. He is the regional Training Chair of Plastic Surgery for WA. UWA Medical Graduate (1972). Consultant Anaesthetist and Intensive Care Specialist, with special interests in neuroanaesthesia, head injuries and critical care. Practised at Sir Charles Gairdner Hospital (SCGH) and in private practice in Perth (1980-2012). Head of the SCGH Intensive Care Unit (1995-2001). Teaching interests included anaesthesia trainees, trauma courses, courses on medical and anaesthesia emergencies plus simulation. EMST instructor for RACS (1992-2001) plus CCrISP instructor at inaugural course and from 2001-2006. Instructor at ACRM courses since 1998 and EMAC courses since 2006. One of the founding instructors at CASMS and CTEC. Held positions within the Australian Society of Anaesthetists (ASA), as regional chairman and Federal positions as Scientific Program Committee member (1985-96), reviewer and member of Editorial Board of “Anaesthesia and Intensive Care (1989-2005),Councillor, Vice President and President (1996-1998). Within the College of Anaesthetists (ANZCA) held positions as Examiner (1990-2001), Councillor(1998-2008), Chair of General Examination Committee, Continuing Education and Quality Assurance Committee, Vice President and President (2006-2008). 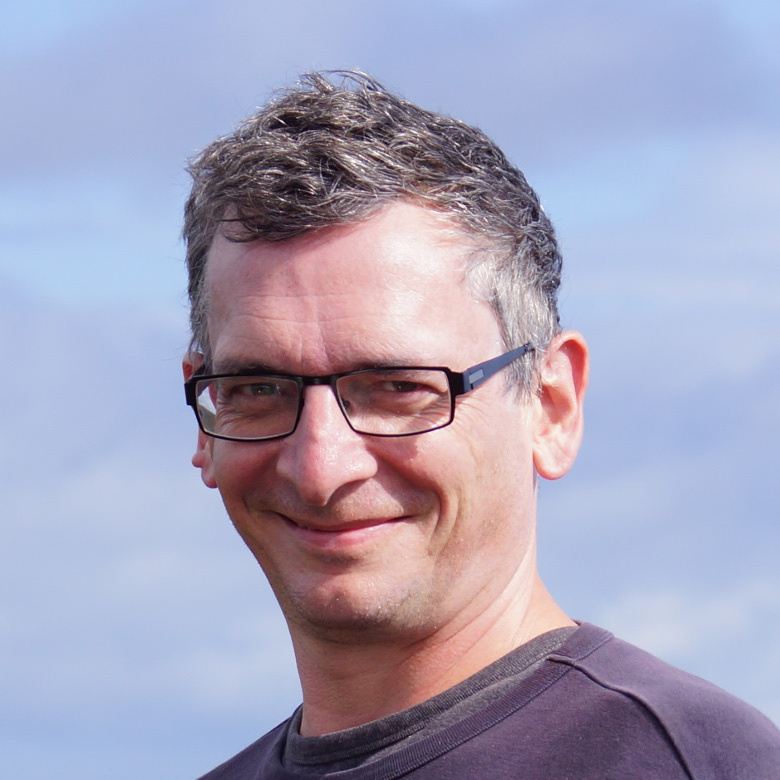 In the mid-1990’s he was involved with a number of anaesthetic colleagues in Perth, Sydney, Melbourne and Wellington who were interested in anaesthesia simulation as a means of teaching and upgrading skills, particularly in emergency or crisis situations. They proposed an “Emergency Management of Anaesthesia Crises” course. ANZCA supported the concept. As a College Councillor and Chair of Courses Subcommittee, he led the development, together with the simulation centres, of the first simulation course designed for ANZCA trainees and Fellows. This involved refining and assessing the curriculum, developing an instructor course, developing accreditation guidelines and regulations plus the introduction of EMAC into the ANZCA training program. Honours: Member of Order of Australia, Life Member of ASA, Honorary member of New Zealand Society of Anaesthetists, Life Member of APSF, Emeritus Consultant SCGH. 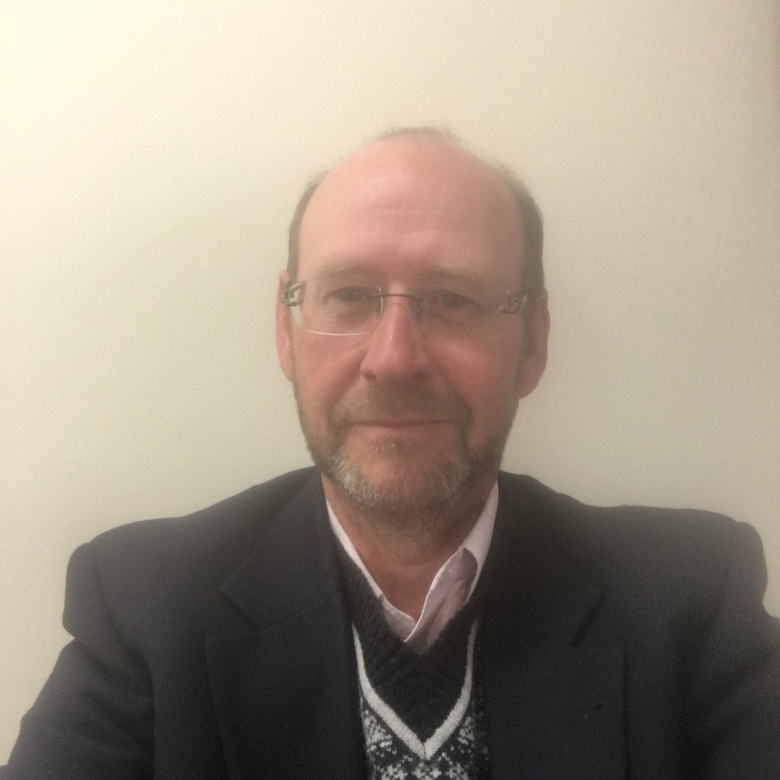 Dr Ward is a Procedural General Practitioner with Burton Street Family Practice, Bentley, Western Australia and a Procedural Surgical GP with the Rural Health Outreach Foundation. In her latter role she practices in Merredin, Westonia, Bruce Rock and Narembeen. "Rural doctors have to maintain skills across a number of areas; including emergency, surgery, obstetrics and gynaecology, anaesthetics, and [very importantly] teaching. My hope with the various courses at CTEC to which I have had input [and particularly the courses I have initiated] is that country doctors will find them to contain useful and relevant skills, city doctors will acquire and maintain more of a breadth of skills and knowledge and that all of us, especially the presenters, will learn something new at each course from our colleagues. I have been a procedural rural GP since 1994 and was one of the first GPs in Australia to obtain a FARGP in surgery as well as in adult internal medicine." Professor Wood has been a burns surgeon and researcher for the past 20 years and is Director of the Burns Service of Western Australia (BSWA). She is a Consultant Plastic Surgeon at Fiona Stanley Hospital and Princess Margaret Hospital for Children, co-founder of the first skin cell laboratory in WA, Professor in the School of Surgery at The University of Western Australia, and co-founder of the Fiona Wood Foundation. Professor Wood’s greatest contribution and enduring legacy is her work pioneering the innovative ‘spray-on skin’ technique (Recell), which greatly reduces permanent scarring in burns victims.